Commented: 5 times. Add Yours? Great article. I would also like to mention that when using a web cam for video blogging you can use Viddler.com as a built in video recording system from your web cam directly to the web and have an embeddable video that you can directly post into your blog. Thanks for your comment! Viddler.com is great for what you have described. We also use a service called Eyejot (www.eyejot.com) for recording and sending video via email. I’ll write a post soon about Eyejot as there are a few tips and tricks that should be noted. I say BOTH!!!! I love the ease of just shooting a little something while at my desk. 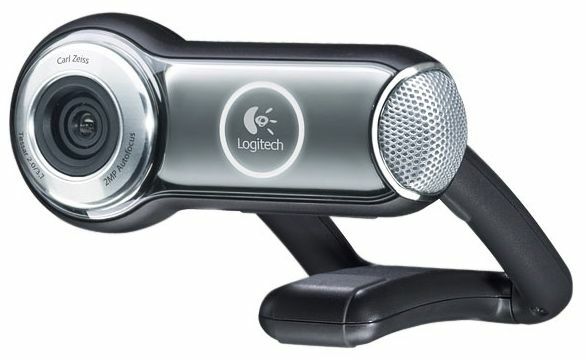 The sound quality seems a bit better with my Logitech 9000 than with my Flip. Very little editing and perfect for spur of the moment status updates on Facebook! But, I carry the Flip in my purse waiting for just the right moment…and you just never know where you’ll be when that happens. Since the Flip runs on batteries I never have to worry if it’s charged. Would you make a woman choose between her running shoes and her heels….I think not. Great article Carl! I think you are spot on Nicole. The webcam is ideal for video blogging (if shooting form your work station) because the ease at which it can be done. The Flip is excellent to carry with you at all times because you never know when you might that right moment may come. 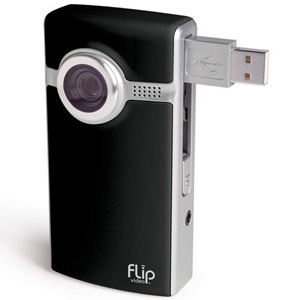 Personally, I think a great place to start when video blogging is to get a webcam and then purchase a Flip. When starting off it is best to keep it simple and the webcam will allow for this. You need to learn to walk before you can run. Both have their pros & cons, as well as their specific uses. Webcam is ideal from live chat, MinoHD is great when you’re mobile. Two totally different beasts.